Comfortable and fully equipped freshly renovated 4 bedrooms Villa with minimalist design! It’s around 25 minutes driving from Airport. 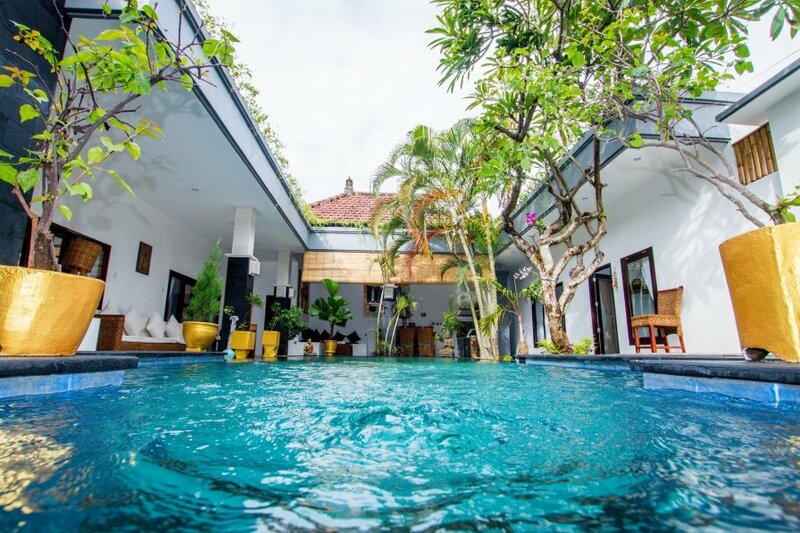 Located in the heart of Seminyak, the best location in town. This villa is fully staffed leaving you free to make the most of every moment of your holiday while the usual daily chores and demands are performed by our side. As well as providing chefs, service and housekeeping staff as a matter of course, most villas also include a dedicated villa manager who will be pleased to arrange for private cars and drivers, babysitters, spa therapists, yoga instructors and more. - One of THE MAIN STREET of Seminyak with all the best restaurants, bars, fancy night clubs, designer shops, beautiful beaches and surf spots but still super quiet! Please, check the photos - villa looks absolutely the same or maybe even better! - OPEN LIVING ROOM with sofas, big flat TV, fans and everything you need to relax. - Beautiful clean private swimming pool with the stairs to sit on, surrounded by tropical garden.